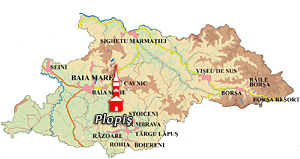 Location: Plopiş village is situated in the valley of the River Cavnic. Summary: The walls of thick square-cut oak beams stand on a low foundation made of big blocks of stone. 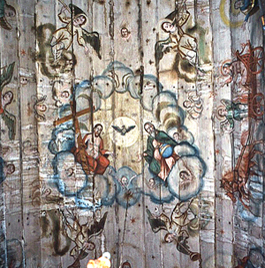 The technique of execution, the harmonious proportions, the carved and painted decoration, and the setting in the village environment justified the inclusion of the church on the World Heritage List. The Church of the Holy Archangels in Plopis seen from southwest. A traditional woven fence surrounds the churchyard. The plan of the church is the usual one, rectangular, with a pentagonal chancel apse. There is a porch in front of the entrance on the west façade, six solid pillars supporting the beams that bear the weight of the roof. Half-circular arches join the pillars. The tower above the pronaos has a balcony with 16 pillars and arches. On the corners of the tower roof there are four small-sized decorative pinnacles. The church windows are very small, but they are arranged in pairs, a smaller one above a slightly bigger one. 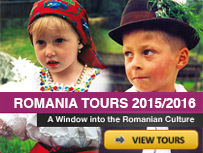 The upper frame of the windows is shaped in an elegant pointed tented arch. The pronaos is very dark, with only a pair of windows, while there are eight windows in the naos and six in the chancel. The floors are made of big stone slabs. The Veil of the Holy Virgin. 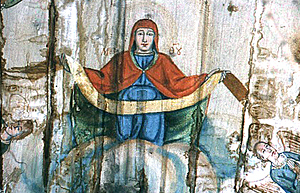 The paintings were made in 1811 by Ştefan of Şişeşti, as shown by an inscription on an icon, but they are preserved only on the vaults of the naos and the chancel and on the iconostasis. The vault of the naos has a three-lobed section, with a main vault and side vaults on both sides. 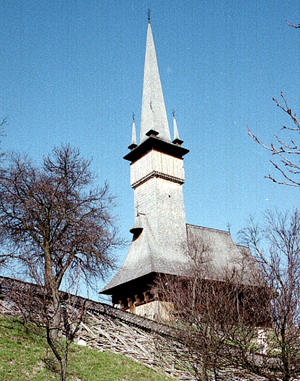 This is a unique structure among the wooden churches. The central vault has in the middle a representation of The Holy Trinity, with the Virgin Mary at the east end. 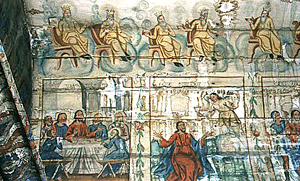 The side vaults have scenes from The Life and Passions of Christ. A row of seated yellow-robed Prophets lines the northern and southern sides of the naos vault. Under the Prophets are scenes from the Cycle of the Passion of Christ. 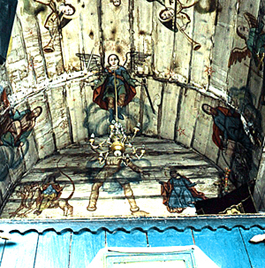 The same painter also collaborated in the preparation of the paintings of the church in the neighbouring village – Şurdeşti. The church in Plopiş can be considered the younger sister of the church of Şurdeşti. 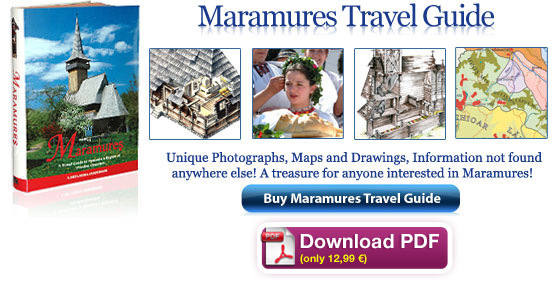 Similarities include not only the style of painting, but also some architectural elements, such as the tall bell tower with four corner pinnacles, and certain sculpted decorations on the façades and incisions on the balustrades. But, there are several features that differentiate this church from others in the area: the double rows of windows, and the triple vaults of the naos that result from the fact that the walls do not taper slightly inward, as in most other churches. Naos vault with the figure of Archangel Michael and the west tympanum with the seven-headed beast that symbolizes the ancient empires. 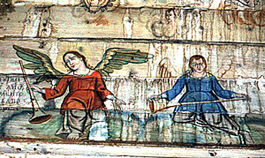 The main motif of the naos vault is The Holy Trinity, surrounded by angels that trumpet the announcement of the Judgment. 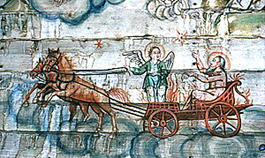 St. Elijah and the Chariot of Fire on the vault of the naos.